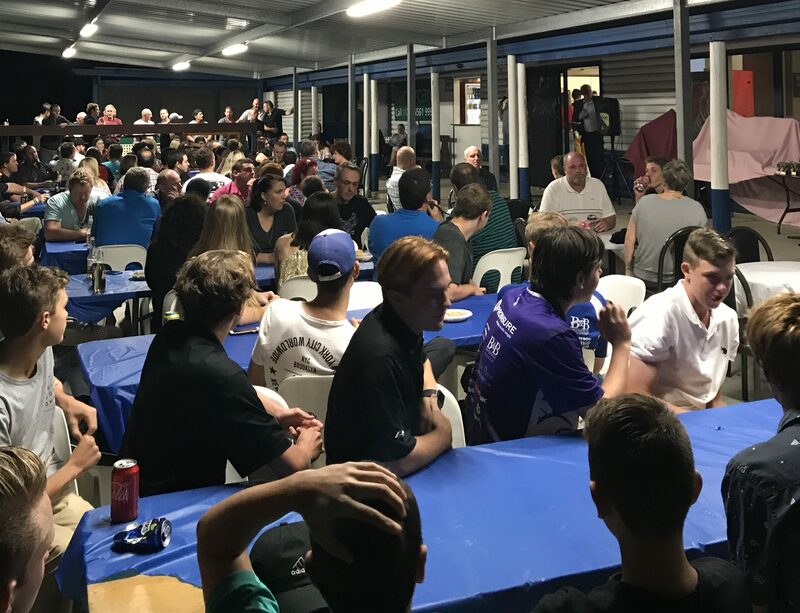 Thanks to everyone who attended our senior and junior presentation events over the weekend as well as those who supported our u15s and 3rd Grade Blue teams in their respective grand finals. Unfortunately both teams couldn't bring home the trophy with the u15s losing to Surfers by 41 runs and 3rd grade losing to Queens by 91 runs. Better luck next year boys. A great turnout for our senior presentation with over 100 people packing into the clubhouse to celebrate the end of the season. We also acknowledged the Masters Gold team on winning the over 40's Division 2 premiership. Awards for the night can be seen in the photos attached. Our junior presentation day was a fun event held on Sunday from 1pm to 4pm as the kids had a rock wall to climb, boxing jumping castle and other activities to entertain them and the BBQ kept them feed. Players from each team were presented with medallions that showed their season stats with games played, runs and wickets. Awards for the day are posted in the photos below. Thanks to all for the season and we will see everyone at our next event which will be the AGM held in a couple of months time.